Join us in celebrating our 100th anniversary with this special blend of 100% Arabica coffee beans from Kenya and Ethiopia, which combine to deliver rich body and bold, smooth flavor. This is sooooo smooth and rich. My new favorite. Imfrom Massachusetts, olive in South Carolina many years. When I found this in my stores I was excited,but I am slowly seeing it go from the stores. Glad to know I can order when I can’t find anymore. Love many of the flavors. CENTENNIAL RESERVE is an amazing cup of coffee. I like it bold but no so bold that it is bitter. The Centennial Reserve is smooooth and bold. I like my coffee creamy and NO sugar. Centennial Reserve is the bag I want by my coffee percolator. I brew a 10-cup pot every morning and I use a total of 12 heaping tablespoons for a PERFECT CENTENNIAL RESERVE brew… I’ve exposed it to may coffee drinkers at our home over the last couple of months… They Love IT! My grocers of choice have all run out… So, I’m down to about 4 or 5 bags left. 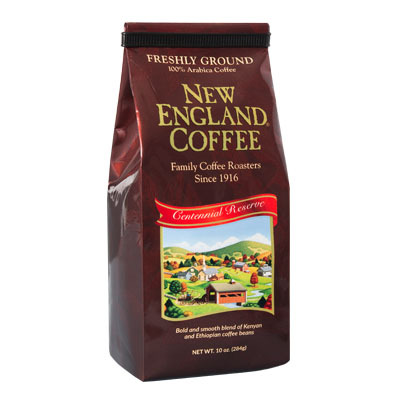 I need to order at least 10 Bags from NE Coffee… I hope you keep this blend going as it has made me a New England Coffee fan! I like this coffee a lot. I love your coffee. Just wish there were more decaffeinated choices. 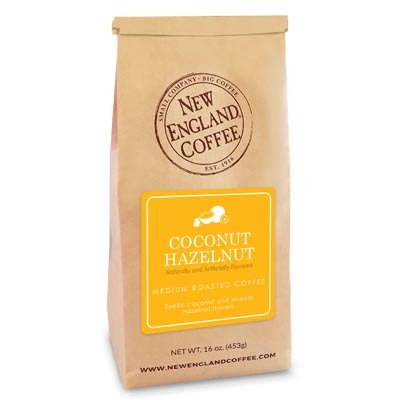 Great tasting coffee…if this is limited run what is next closet flavor? ? ? ? ? Great tasting coffee…If this is limited run?…what is next best flavor? ? ? I loved this one! Only thing I actually liked brewing at home! Will it be back?? 🙁 I can’t find it anywhere.